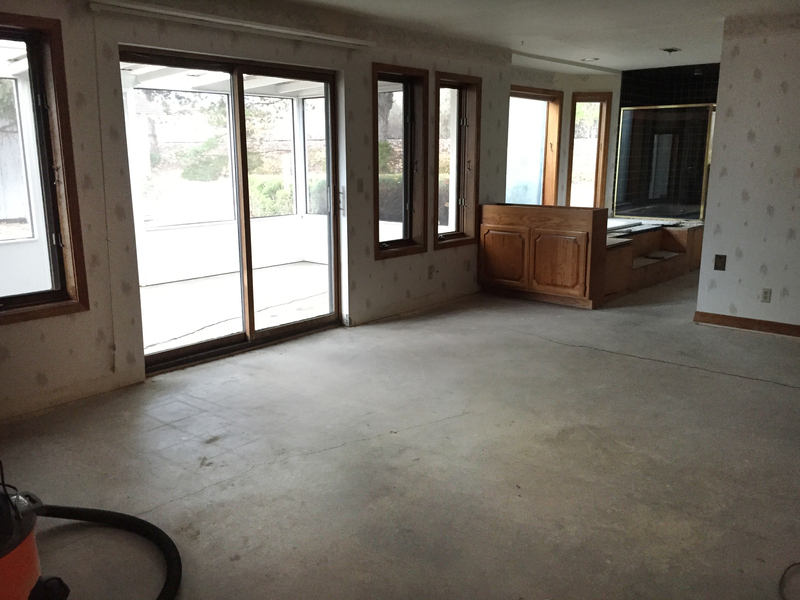 When we bought our ranch, we originally wanted to have all wood floors in the house. We intended on using area rugs to warm up the rooms. Then we moved into our rental which has all woods floors and zero carpet. We haven’t bought any rugs for the place because I’d rather not spend the money for temporary decor. Anyway, long story short, we haven’t enjoyed our feet having crumbs and dirt on them when it’s time to get into bed, and we decided to put carpet in the bedrooms of the ranch house. Emma, my youngest is allergic to dogs and cats. The prior residents at the ranch had several large dogs and she reacts every time we are there. 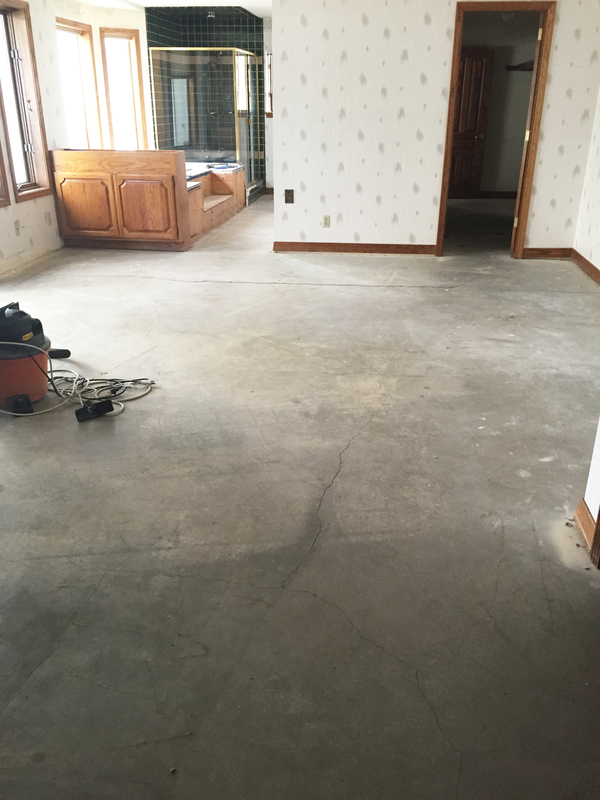 Needless to say, the first part of our demo plan was to get rid of all the carpet in the house and just work around on the cement. Well, well, well! 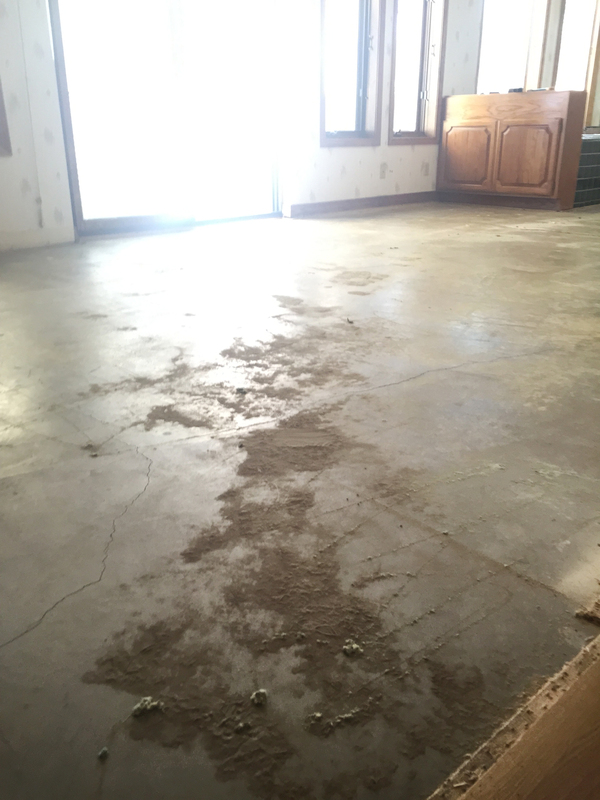 Let me tell you how surprised I was when we started pulling up the old carpet! First of all, I have to tell you the house was built in 1983 and it is quite possible the original carpet is what was in the house. The dusty rose color may also be a clue that it’s original carpet. 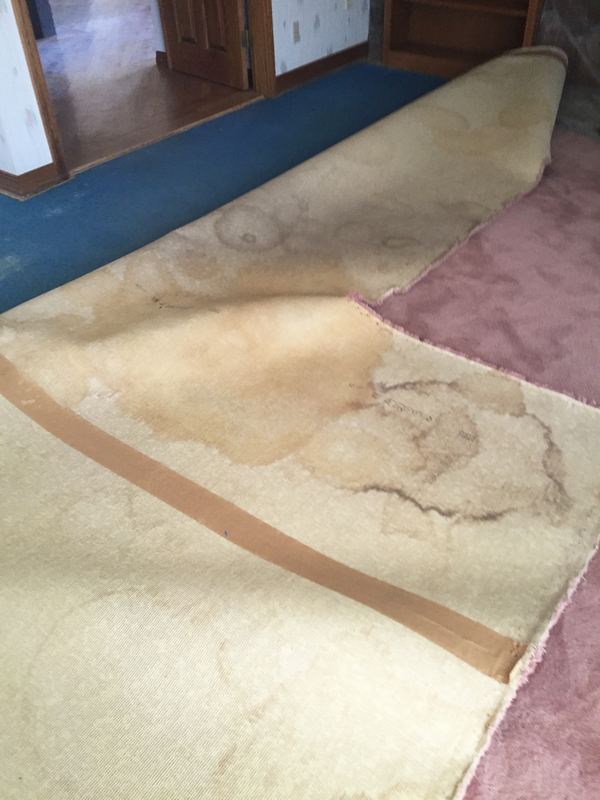 As we started to pull up the carpet we found a ton of animal urine stains! The worst part was the master closet. My feeling is the renters may have locked their dogs in the closet, which just made me sad. Then, the bedroom itself was covered in urine stains. You really can’t get carpet clean, no matter how many times you shampoo it. It’s carpet and it’s thick and there’s padding underneath. Stuff goes down into it, and you can’t completely clean it. You just can’t. Perhaps you don’t have animals. You do still have dirt! 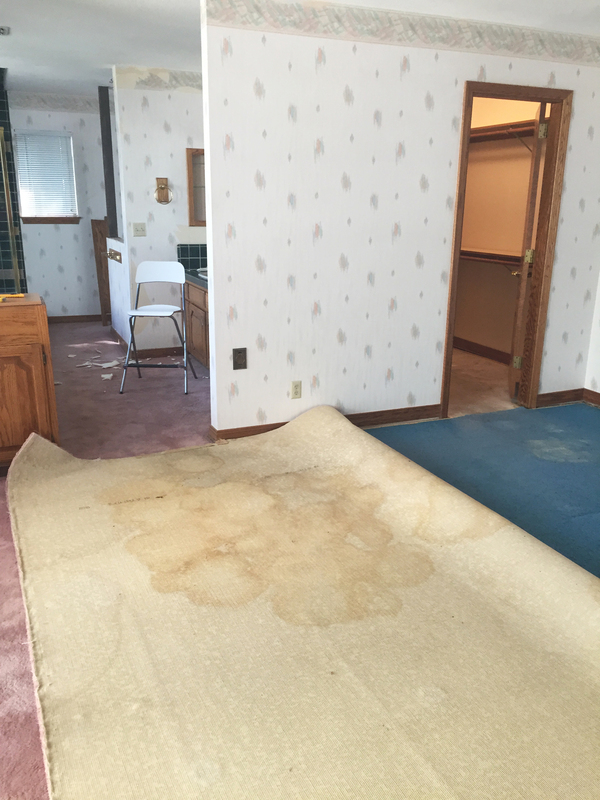 Once the dirt goes down under the carpet and padding, you CANNOT get it out of there. It will sit under your carpet until you remove it and clean under it. We found years and years of dirt under the carpet. Every time you roll around on your carpet you are over all the dirt, and I can’t imagine that particles are not moving around in your air as you walk or vacuum. However, you still can’t vacuum all that dirt back out and up through your carpet. Carpet is disgusting. Period. Yuck. It looks great, and it feels so cozy on your feet and when you’re laying on the floor watching TV. But there is a very nasty, dirty little secret it holds underneath it. 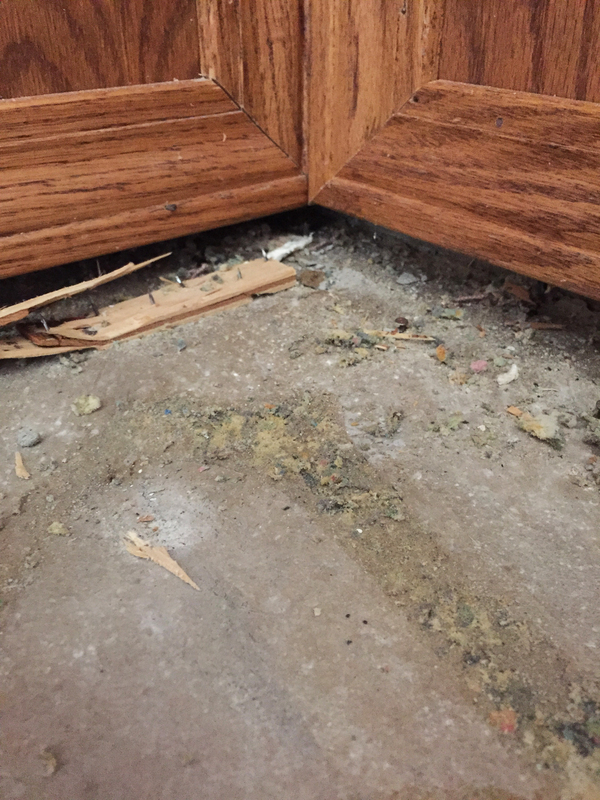 After seeing what was under our carpet, I’ve decided not only will we have wood floors in every room, I will never ever have carpet in my house again. Ever. Seriously, invest in wonderful area rugs that you can clean and move, and throw away when they get yucky. 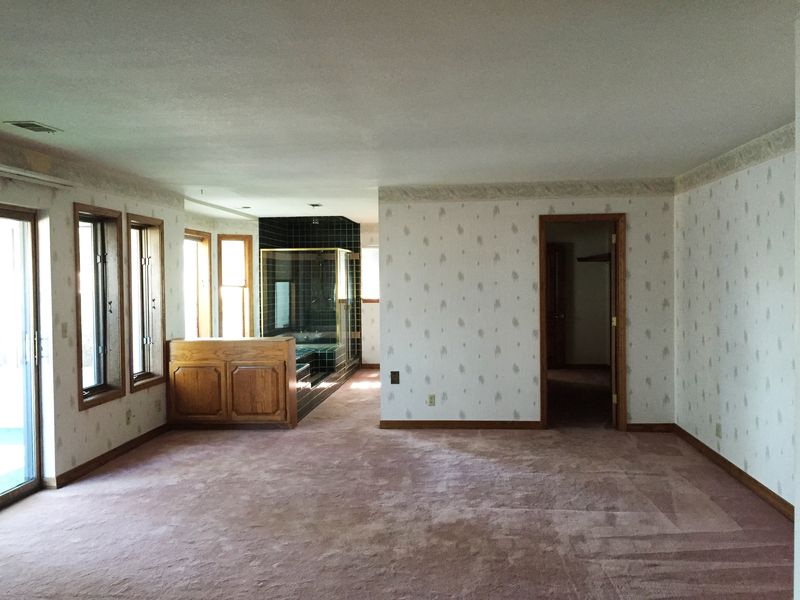 Here is the master bedroom with the carpet. If you remember this is the bathroom with all the carpet around the tub, shower, and toilets. Pulling up the carpet revealing all the stains. I was glad to see there were no stains under where they had their bed… So glad. This is powdery, sandy dirt that was just piled under the carpet. All that dirt just laying under there, in a bedroom! Allergies much? 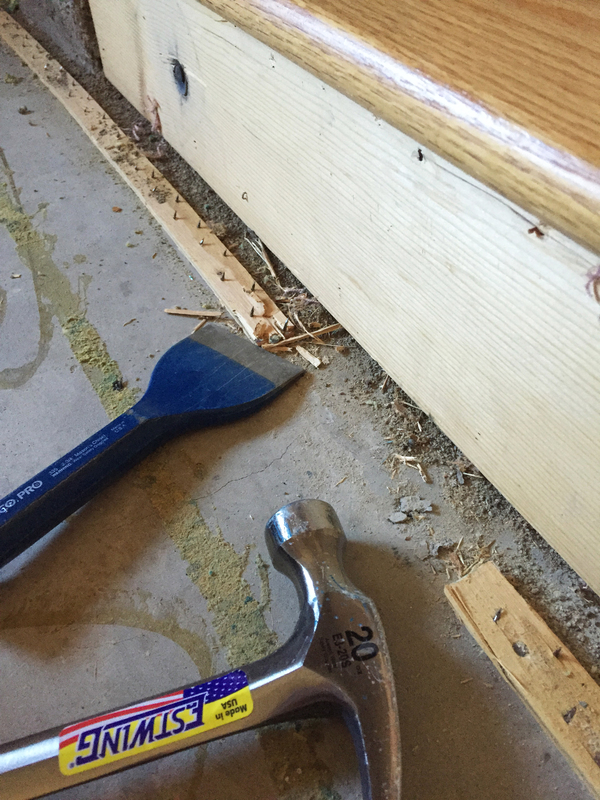 This is a baseboard under the master bedroom windows. 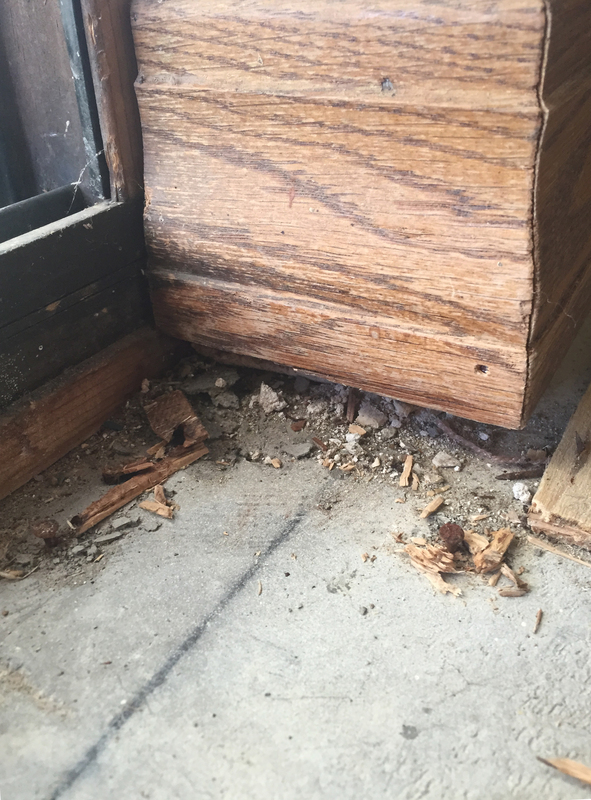 Sure, it was next to a slidding door which leads out to a sunroom, but as you’ll see, this happens in each room no matter where it is located. The carpet holds the dirt in. 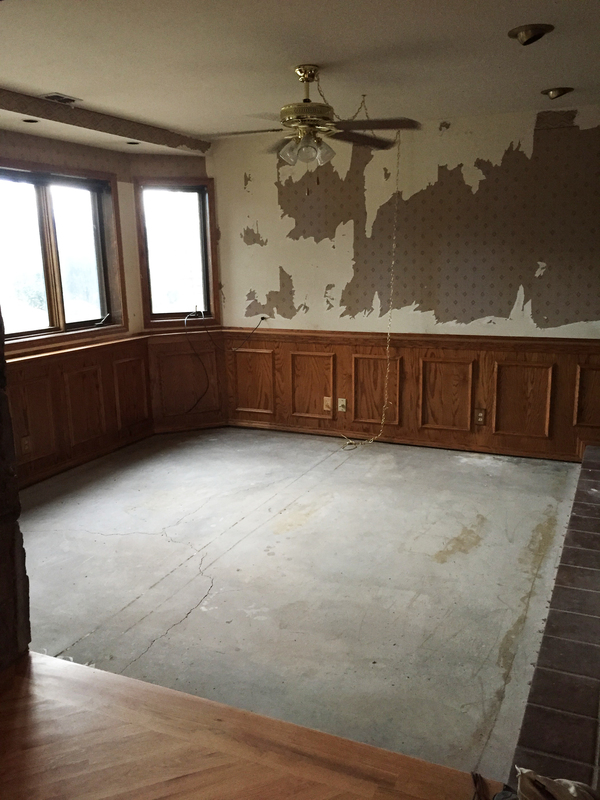 So, after hours of removing, cleaning and chiseling the boards off the floor, we had three rooms free of carpet. Now, on to the rest of the house. So now we have three rooms with cement floors and I’m pretty sure even in this state, the rooms are now the cleanest they’ve been in years. IT WAS SO BAD, RIGHT?! Thank you for all your help, my friend! I couldn’t have gotten it all outta there without you! I’ve been waiting to see what you would do with that beee-u-tiful bathroom carpet. Haa haa!! I threw it into a beautiful dumpster!! Congrats on your 5,000 views! I’m thankful for your blog.